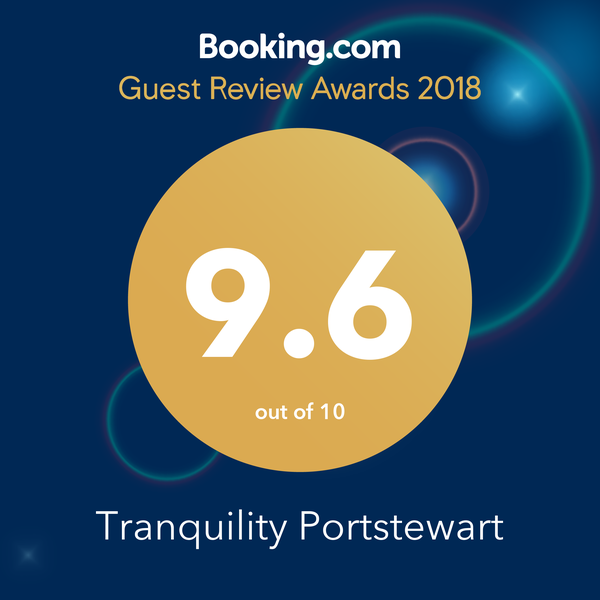 The beautiful seaside town of Portstewart lies on the Causeway Coastal Route which runs from Northern Ireland’s vibrant capital Belfast to Londonderry/Derry. Portstewart is best known for its 2 miles of golden beach popular with holiday makers and surfers. A scenic coastal path runs from the Strand to the Promenade and quaint harbour. Tranquility is a 5 minute drive from the Strand on the A2 as you head towards Coleraine. It is only 1.3miles from Portstewart Golf club and 4.3 miles from Royal Portrush Golf club. Turn left into Agherton Road just after the Flowerfield Arts Centre at the new playpark, take 3rd on left and immediately left again, Tranquility is 2nd house on right. Approaching from Coleraine, turn right into Agherton Road just past the new Tesco store and continue as above. Detailed distance and directions can be found on Google map below.